The Canadian Real Estate Association (CREA) largely blames tighter mortgage lending rules for the slow housing market in March. Sales dropped 4.6% year-over-year to levels not seen since 2013. Sales were 12% below the 10-year average for March, and 20% below the average for British Columbia, Alberta and Saskatchewan. But there was a glimmer of good news from Quebec and New Brunswick, which saw above-average activity. The average home price remained stable, down 1.8% year-over-year to $481,745, or $383,000 once you exclude Toronto and Vancouver. “…Many prospective homebuyers remain sidelined by the mortgage stress test to varying degrees depending on where they are looking to buy,” says Jason Stephen, CREA’s president. CREA has continually blamed the new mortgage rules for a soft housing market since they came into effect on January 1, 2018. Canadians must now qualify at 5.34%, or 2% above their contract rate, whichever is higher. This has severely reduced affordability, especially for first-time homebuyers, and has—perhaps unfairly—impacted residents outside of the hyper-expensive Toronto and Vancouver areas. But the regulation was intended specifically to reduce the risk borrowers pose to the economy at large. When interest rates rise, borrowers may find themselves overextended and spending so much on their mortgage they have little else to spend on consumer goods, thus slowing the economy. For now, the rules remain firmly in place, although borrowers can circumvent them by choosing a credit union or private lender, or finding a co-signer. And it makes sense that affordability is an issue, regardless of the stress test, considering almost all Canadian cities are up in price over the last five years, most of them significantly. Overall, the benchmark price is up almost 40% in the 19 markets CREA tracks, with the Fraser Valley up 80% and the Niagara region up 77%. Only four cities are down from five years ago, and they are all in the Prairies, which is suffering (from a seller’s viewpoint) from oversupply: Calgary (-5.19%), Edmonton, (-5.24%), Regina (-12.09%) and Saskatoon (-9.26%). Zoocasa.com is a real estate company that combines online search tools and a full-service brokerage to empower Canadians to buy or sell their homes faster, easier and more successfully. Home buyers can search Barrie homes for sale, Mississauga real estate and browse homes across Canada on the website or the free iOS app. Previous ArticleWill Street Capital Make a Comeback? I think the fall in Vancouver real estate is a more complex issue , than saying the stress test is to blame. 1) With the exception of Germany, many world cities are see price declines. Is the Canadian stress test to blame? 2) The legalizing of pot in Canada has put a large under of underground grow ops out of business.. (non reported income). This closes the door on a lot of people now with out the funds to buy a house. 3) The vacancy tax report that everyone has to sign, has identified unreported income to the IRS regarding income from rentals. 5) New currency regulations in China, slowing the out flow of dollars into real estate in Canada. 6)The upcoming regulations regarding full disclosure of real estate ownership. 7) Public outcry regarding these drug laundering gangs turning the Vancouver housing market into some speculative commodity game. 8) First time home owners have never really been in a financial position to purchase Vancouver detached housing, so comments about helping first time buyers into this market is a rather moot point. 9) I notice of late the BIG banks are now getting nervous, regarding the fall in housing…my guess.. They’re concerned about their real estate mortgage policy that lent out too much in Vancouver. Anyone one that bought a house after 2015 ..is basically underwater..
As a Realtor in the GTA/ Toronto area….it absolutely caused the market to slow, just as planned. 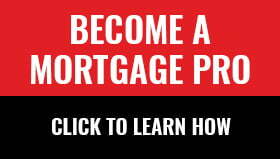 My wife is a mortgage broker and it is difficult getting people approved. So this sh!t is as real as it gets as we know from the inside. The government needs to keep their fingers out of the business. Period.